The Spanish Flu of 1918 was no match for homeopathy! There’s a safer way to acquire immunity naturally without the risks of vaccination: homeoprophylaxis. The mortality rate of people treated with traditional medicine and drugs was over 28 percent: those treated by homeopathic physicians had a mortality rate of just 1.05 percent. Homeopathy works! The body has natural intelligence and the capacity to heal itself. It needs to express symptoms, have discharges, and be supported by natural means such as homeopathy. A runny nose is purging sinus waste products. A cough purges the airway. A fever resets the immune system, eliminates toxins, and restores the bacterial balance thus maturing the immune system. We can often see developmental leaps after a fever. Homeopathy is a 200-year-old science of medicine that addresses both acute and chronic conditions. It’s based upon the principle of “like treats like.” If something in nature is capable of causing symptoms, then in a homeopathic preparation it can cure the same symptoms. 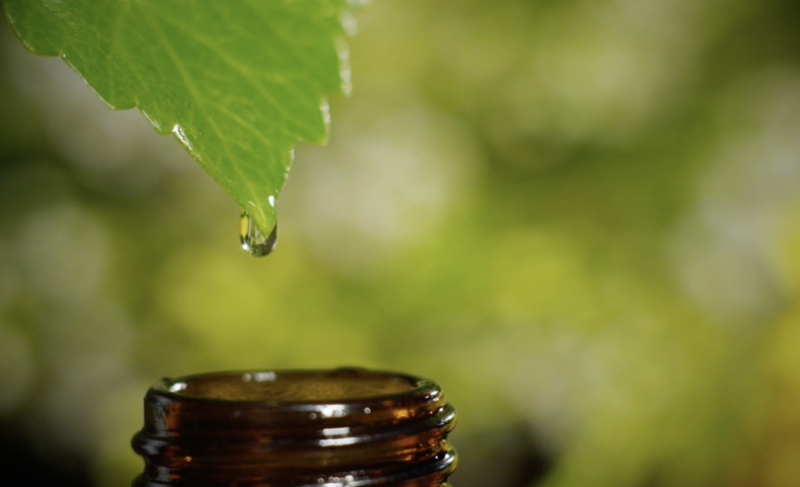 To treat homeopathically every symptom of an illness is noted – physical, emotional, and mental – and a remedy is chosen that most closely matches the exact characteristics. For example: if stung by a bee, you are likely to experience pain, and hot redness with inflammation. Apis mellifica (bee venom) prepared homeopathically can quickly reduce all of these symptoms. It’s safe with no side effects due to the principle of minimum dose. Minimum dose means the source material is diluted repeatedly until there are no original molecules left. This dilution is then applied to small lactose/sucrose pellets and taken by mouth. The individual’s vital force recognizes the frequency of the source material and sets healing into motion. The immune system then initiates healing naturally, without getting stuck at any stage, or suffering any side effects. One of the most urgent questions young parents face is how best to cultivate their children’s immunity. Each of the following remedies can be found at most co-op or natural food stores, and will be effective for influenza or flu-like illnesses. For dosing, simply start with a dose each hour for three doses, then give 3 doses per day until symptoms are 70-80% improved. A dose consists of 2-3 pellets of 30c potency. Don’t touch the pellets with your fingers. Just tap them into the cap of the vial and pop them in the mouth to melt. If no relief after three doses, then re-evaluate symptoms and remedy choice. If you have a peaceful sleep after dosing, this is a good sign that the vital force has recognized the remedy and it’s a good match. You may see a dramatic improvement, or a gradual one. The goal is to support the system so it doesn’t get “stuck” in any phase of the illness, but moves through the stages smoothly. Frequently, the stages are actually shortened with the aid of homeopathic remedies. Modalities are either times of the day when symptoms are better or worse, or what condition or activity reduces the discomfort. Many people will say nothing makes them feel better. In this case, you just observe what they have a desire for. Hot drinks? Cold drinks? Activity? Company? To be left alone? These are all various modalities. Influenzinum is a great preventative to take for flu-like illnesses. It can be found in 30c potency and taken once a month during flu season. An excellent study from Brazil (2011. International Journal of High Dilution Res. “Homeopathic medicines for prevention of influenza and acute respiratory tract infections in children:” blind, randomized, placebo-controlled clinical trial) concluded use of homeopathic medicines minimized the number of flu and acute respiratory infection symptomatic episodes in children, was cost-effective, and carried no ill effects, encouraging the homeopathic prophylactic potential to be investigated in further studies. Choosing a method for flu-like symptoms that can be curative rather than simply palliative is a wise choice when your goal is to support real immunity naturally. Please contact Cilla Whatcott if you’d like to purchase a supply of influenzinum: cilla at worldwidechoice dot org. Remedies for flu-like symptoms include Aconitum and Belladonna. This is the first remedy to think of when coming down with a flu-like illness. It can be taken within the first 24 hours of symptoms suddenly appearing. This is especially true if the symptoms came on after being exposed to harsh weather or a cold wind. You can often nip the virus in the bud with Aconitum in this way if taken immediately. The symptoms you may see are a fever with chills, flushed cheeks and a rapid pulse.